Hello, my name is Captain Perri Johnson Commander of District Six. I am looking forward to getting out in the community we serve and helping my officers to create relationships with the community that we serve. We want to work diligently to help the crime rates that effect the city and District Six by being a visible presence that is capable of creating allies to be able to work together and make things good for those citizens that deserve it. 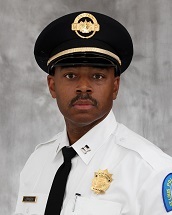 Meetings are held on the fourth Monday of the month at 7:00 p.m. at the North Patrol Division, 4014 Union. Meetings are not held during the months of November through February. 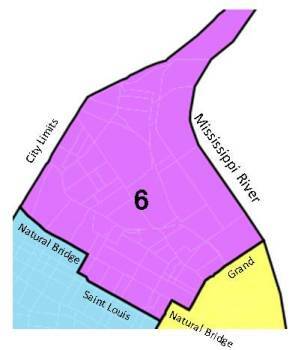 The Sixth District includes the neighborhoods of Baden, Mark Twain, Mark Twain/I-70 Industrial, North Point, North Riverfront, O’Fallon, O’Fallon Park, Penrose, Penrose Park, Riverview, Walnut Park East, Walnut Park West and portions of College Hill, Fairgrounds, Greater Ville, Kingsway East and Near North Riverfront.